Apu Dey belongs to Lumding Assam and has lost his left leg above knee last year in a bike accident. Currently he is using a prosthetic leg and is working in a lower primary school to support his family. Apu Dey dreams of becoming a world-class cyclist and wants to pursue his sport. He approached AMF for funds for a cycle and also training to guide him to excel. 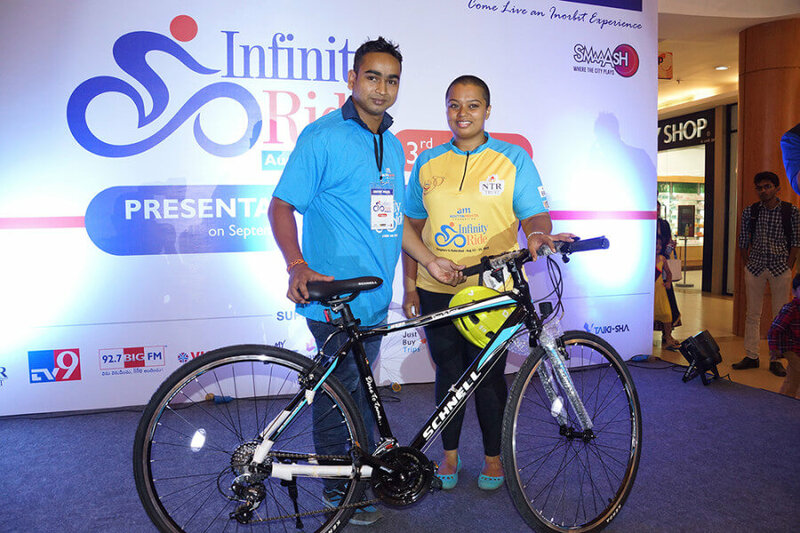 Apu Dey was offered a cycle worth Rs 60,000/- in a special event on September 29th, 2015.